So, in this video I'm going to walk you through ten steps to making sure that your brand new manufacturing blog starts off on the right foot. I really don't think that this is the number one most important aspect in the 10 steps of setting up your company's first manufacturing blog, but I know many of you were going to jump into this right away, so I wanted to address this first. 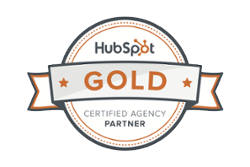 We recommend HubSpot or WordPress, and most of our clients do use HubSpot. We also use HubSpot. It's a fantastic, very intuitive, step-by-step blogging platform. WordPress, especially if you can combine it with some of the very popular plugins that help with search engine optimization and other things, is also a good solution. But, if we had to pick one, it would be HubSpot. The other consideration to have with your blog is to make sure it's on your domain. For example, our blog is protocol80.com/blog and that's perfectly acceptable. Blog.protocol80.com would also be acceptable. What you DO NOT want to have is somebody-else's-domain.com/YourCompanyNameBlog. Don't set up a free wordpress blog on the wordpress.org website and have your blog live there. The main reason being, as you gain inbound links, which are very very helpful for search engine optimization, you're really building inbound links for wordpress.org. Not your company website.com. So, you really want your blog to live on your domain. You want to establish some metrics and benchmarks so that you can set goals for at least three months out. Some of these metrics might be views, increases in visibility in search engines, etc... You have to get clarity around where you're starting to understand if you're improving and set targets that you're trying to aim for. 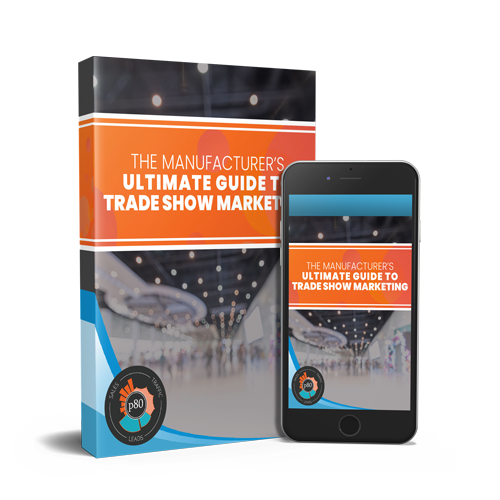 there will be a link to a free guide that will walk you through establishing your buyer personas, including doing some research and interviews with past buyers, and current buyers to understand what really makes them tick. What do they want to see on your blog? Don't write about yourself. Your main website pages probably already cover that. Do some research establish your buyer personas. journey for that specific persona. What do they do in their awareness stage? What do they do in consideration stage? What do they do in decision stage? What information do they need and you can be the provider of that through your blog? consideration stage, and then leverage your website which is already heavily about you and why prospects should go with you. You really want to focus on the awareness stage and consideration stage with your blog posts, especially up front, because you're probably missing that right now. Make sure you take your sales team out to lunch. Probably not McDonald's, but it doesn't have to be steak. Something decent. Then, really drill them with questions. What are the common things that they hear from prospects on the phone? What are the problems that they're having? What are the specifics of those problems and can you write content around those? If they're asking your sales people they're already hopping online and searching around those problems and questions anyways. That's a goldmine of information for your new blog! Compile all of this research. Your buyer personas, your buyer journey, the sales conversations or the conversations you've had with sales people, and put it all together and start creating a list of topics. They don't have to be perfect right now. What we want to do is create some themes. What are some of the common questions or common problems that we know we can write a wealth of content around? Then we want to kind of prioritize that list and see which ones we think we can knock out in one quarter using a cadence of at least one blog post a week. So, we're going to create titles at the very least for at least one blog post a week, for a quarter. If you can do two, even better. Three, mm-hmm, I would love that. At least one per week for one quarter. So, we're talking 90 days of blogging. Really keep in mind what this potential prospect might be thinking when they hit Google. What is their search intent? Are they trying to answer a question? Are they comparing maybe a couple of materials if you're a manufacturer? Are they curious about the best process to use? Really try and understand what intent they have when they search and use that intent in your title. Also, make sure that these blog posts are pure education. Your website pages are all about you and they tend to really promote how great you are as a company, as a manufacturer, your history and your experience. Early Blogs need to be pure education. Remember if we're talking about the awareness stage and the consideration stage. We really want to provide education, not a sales pitch. platform, HubSpot is a great tool to send email campaigns. There're also free tools like MailChimp that will work. past customers, and reinvigorate them into becoming a customer again. couple times a week. You want to get some eyes on this content using other channels aside from Google. If you happen to have mentioned anybody else or any other organizations in your blog post, be sure to tag them in social to get their attention and maybe they'll share it and get some additional eyes on your content so. Speaking of tagging others, number 8; if you have an opportunity in your content to link to a non-competitive website, so somebody who doesn't compete with you but maybe has a great source of information, and you can link to that, do it. Over time, you know it may not be immediate, they're gonna notice and hopefully they'll reciprocate at some point and link back to you. That's always a plus and helps with search engine optimization. couple months, especially with a brand new blog, because if you don't you're going to be frustrated. You have to understand that blogging is a compounding thing, so over time as you write more and more blog posts, some of them are gonna rank really well. Some of them aren't, and you have to be willing to accept that. But understand that the ones that do rank really well in search, and really get high visibility; they're going to be key drivers of prospects for your sales folks over time. Especially if you're using inbound marketing. what blog posts throughout that quarter had the most views? were any of them shared in social media? what were some of the positives? Next, can you do more of the positives? So take those topics and those types of topics and apply them to maybe a different material in your manufacturing company or a different process or a different type of question that you know a prospect might ask. Duplicate your effort in the next quarter. So shifting gears a little bit... the ones that didn't perform real well, maybe change the title. You know try changing the title. Reread it from your buyer personas perspective and ask, "Is this really valuable?". Did I consider the personas search intent when I wrote the title for this? Give it another shot. Maybe adjust it a little bit. to understand what you need to schedule for at least one blog post a week for quarter two. These are free resources you can download right from our website. If you like this video, please give us a thumbs up and subscribe below, thanks!